Why is collaboration so important in today’s world? On January 1, a new California law will take effect; it will require a lawyer to make sure their client understands the implications of California's legal protections for mediation communication. This is the complete interview by Robert Benjamin with Chip Rose, a national leader in the fields of divorce mediation and collaborative practice, filmed as part of Mediate.com's 'Views from the Eye of the Storm' Video Series. Why Do I Want You to Stay in the Room? This discusses the recently published groundbreaking SOAS Arbitration in Africa Survey, the first survey of its kind to take a pan-African snapshot of African arbitration practitioners—their expertise, experience, skills, and views on arbitration. Ok, we’ve got a problem: Britain has announced a new Minister of Loneliness. An unforgettable experience that facilitative mediators encounter is the experience of being part of a truly transformative mediation. 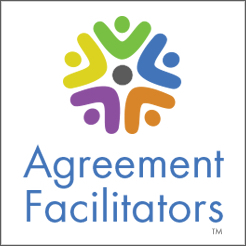 As conflict management coaches it is common that we witness our clients encounter blocks during the course of our engagement. Recently, 12 NFL players and 11 owners met privately to discuss the controversy over players kneeling during the national anthem, without any resolutions or results. What they need is a better technique: Mediation. Following two successful editions of the IBA-VIAC Consensual Dispute Resolution Com-petition in Vienna, Dispute Resolution literally went international again in its 3rd generation in July 2017. Founded more than 20 years ago as a vehicle to connect professional mediators with individuals who need dispute resolution services, Mediate.com today presents more than 15,000 articles and top-tier resources for its 5 million annual visitors. "I cannot emphasis enough how important mediate.com has been and is to the mediation community."